Last Thursday night my sister and I headed out to see Anh Do. 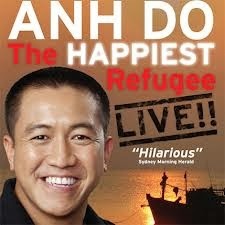 He is currently touring Australia with his Happiest Refugee Show. As it was a Thursday night and we were both so exhausted from work and it didn't start til 8pm, we joked that he better be funny or we'd fall asleep! There was no way we could have, we laughed, we cried, we gasp, we covered our eyes. Saying it was a great show is an understatement. A lot of the show was real life stories, accompanied by photos and videos from work he has done. When it comes to all things political, I'll be the person sitting on the fence. I don't like to get involved and am not passionate about one political party over another. I don't usually get involved in conversations around political matters or policy so writing about it on my blog is not really something I thought I would do (unless of course it effects me personally). But when one of them is standing right in front of you telling their story, you can't help but be touched and get a lump in your throat. He cried several times during the show. Especially as he tells of being attacked by Thai Pirates, his baby brothers life almost taken, and near dying of starvation and dehydration before they were eventually rescued, I would challenge anyone to listen to Anh's story and not be affected by it and question your beliefs about boat people. The desperation and horrific nature of the lives of these people that lead them to getting on a rickertty old boat in the hope of making it across the seas is something I we could never possible imagine. I'm not sure what the answer is or how to possibly help these people but treating them like criminals, I believe, is certainly not the answer. Usually followed by "Give it a crack son, what have you got to lose"... definitely some words of wisdom that have hit home for me. If you do get the opportunity to read his book or see the show, please do. Thanks for this post. 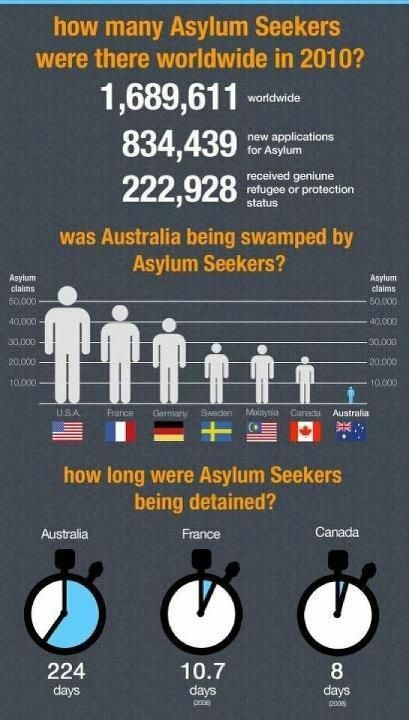 I think he is doing an amazing thing putting a face to the so called "boat people". Making us realise they are human and have something amazing to offer us, such as the priceless gift of laughter. Kicking for myself for not making an effort when he was in Darwin now.